"There's absolutely no place for hate in our schools," Framingham public schools Superintendent Robert Tremblay said. "There’s no place for that in our community and this is a community problem." Tremblay says the first note was found on Friday and the second on Monday. Both were placed in the fifth-grade student's storage bin at the Hemenway Elementary School. 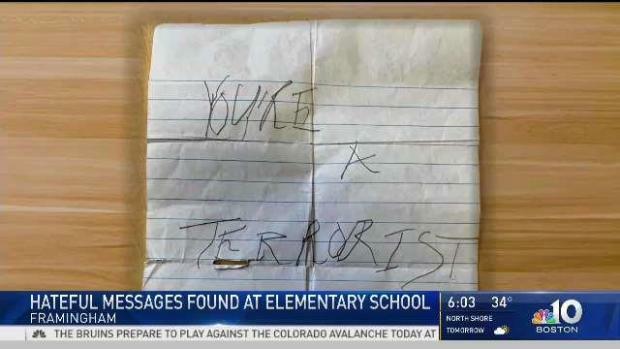 One note said "You are a terrorist," and the other read "I will kill you." Th child’s uncle, Jamaal Siddiqui, said the girl cried after she received the notes. "As a family, we’re disgusted and we’re sad that other kids at this age are being brought up with hate while we’re trying to teach our kids the right Islam," Siddiqui said. "That it’s love and peace and that’s how you’re supposed to carry it in your life and all aspects." Tremblay says the messages are "unacceptable and unwelcome in our community." "I think it presents as an opportunity for a bigger conversation in communities across the Commonwealth," Tremblay said. "This is not a Framingham problem, this is not a Hemenway problem. This is a pervasive problem around hate and we have to take a stand on it and address." 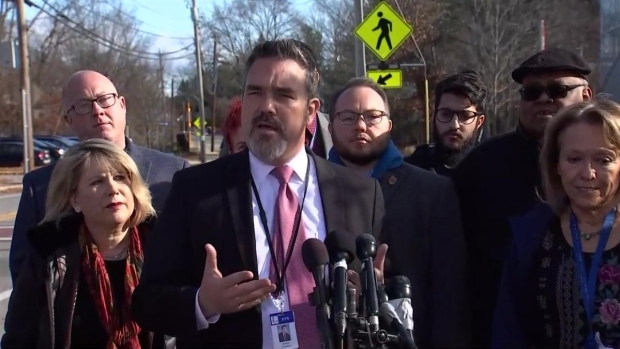 The school's principal visited each classroom urging the culprit to come forward with an apology and sent an email to parents condemning the incident. At Tuesday's School Committee meeting, board Chairman Adam Freudberg called the incident a "discriminatory hate crime." 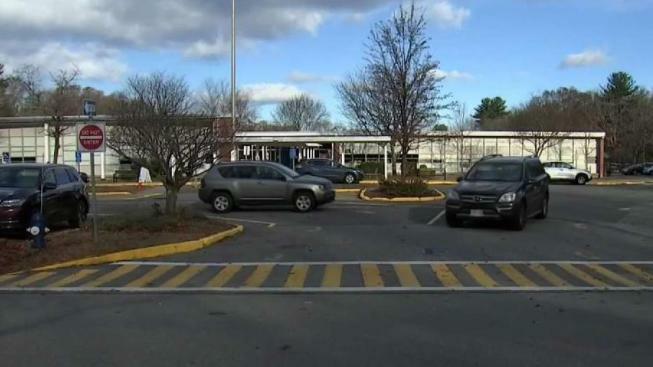 School officials and authorities in Framingham, Massachusetts are investigating disturbing and hateful messages sent to a 10-year-old student. Officials are still investigating the situation and are searching for the culprit.